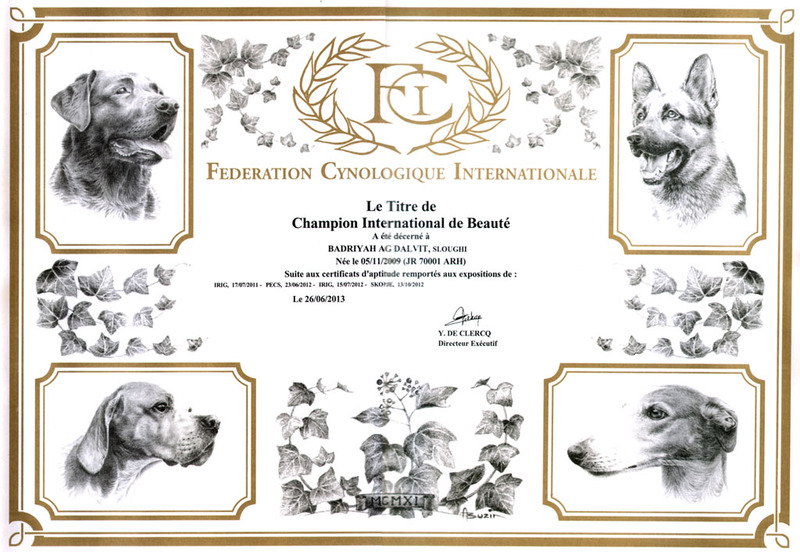 Sloughi-Balkan kennel are extremly proud to announce that our pride and joy Badriya AG Dalvit recive the title of international champion of beauty. 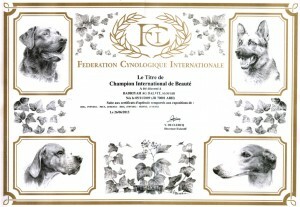 Few days ago we recieve Certificate form FCI. So now it is all clear and on paper, now everybody knows what we knew all the time from the beggining of our kennel Congratulations to Badriyah! Another great news is that all A-litter puppies found their new homes. Five of them went all over Serbia, two to Czech republic and two to Switzerland. 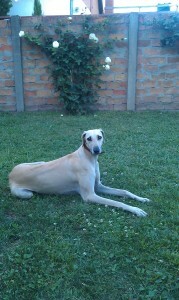 We are sure they all are doing just great with their new owners and that we will see them in future shows so that we all can contribute to popularization of this beautiful sight-hound.